And, as it happens, the good fishing season aligns with the not-always-good-but-often-is piping season. 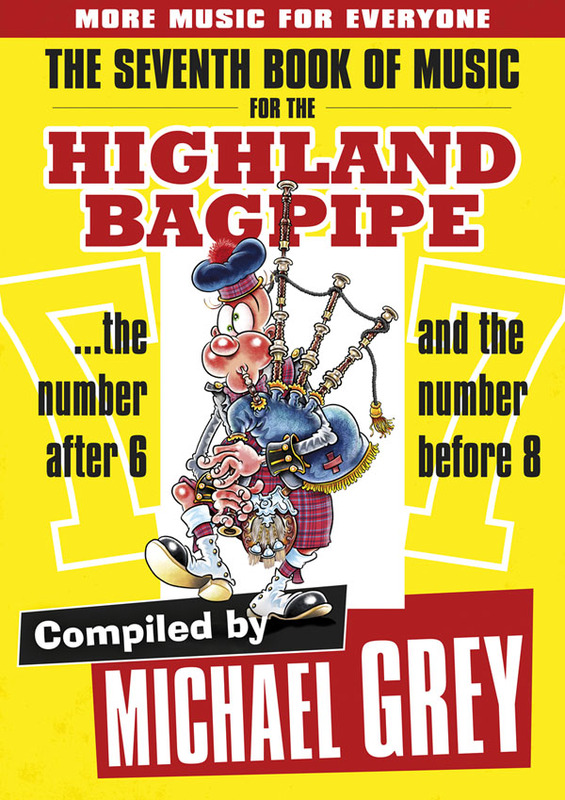 The piping side of things generally being marked by great peaks, great musical successes (and occasionally boozy Facebooky selfie pics) and the miserable, the disappointments (and occasionally boozy Facebooky selfie pics). So we have our peaks and valleys. A life of peaks and valleys, I think, being the natural way of things. One of my favourite smart guys of the old days is Henry David Thoreau, philosopher, outdoors man, writer, he wrote: “Many men go fishing all of their lives without knowing that it is not fish they are after”. So good luck to all this piping and fishing season. PS. 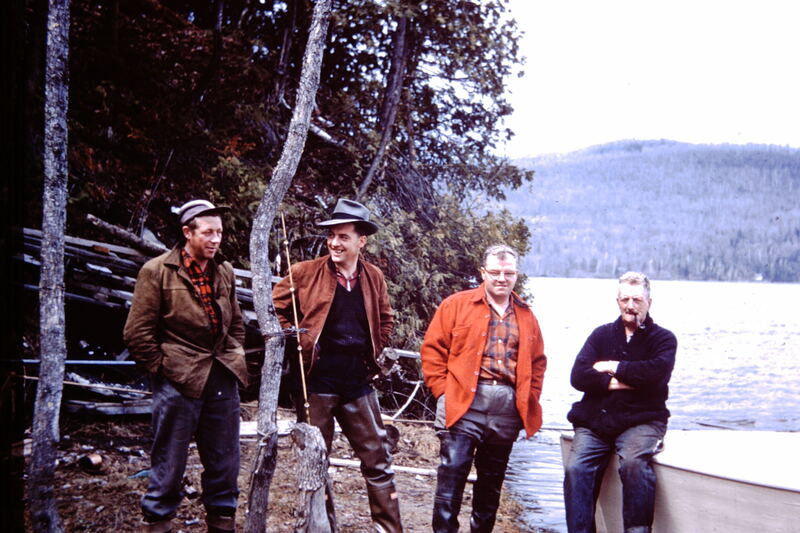 This blab was prompted – seriously – by a photo my sister Jane C sent to me: my dad circa 1955 … young guy in jaunty hat and seriously high waders, his bro David right and pal, Albert left. 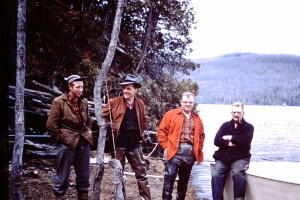 His Old Boy, Robert, far right – my dad would later become his doppelganger.